Lynnette Swanson became involved with Special Olympics through her school system 25 years ago. Participation in Special Olympics World Games Abu Dhabi 2019 will mark her fifth World Games as a member of the US delegation. Back home, she also coaches wheelchair sports for her school and most recently led the wheelchair football team to a state championship win! As a Special Olympics coach, she takes pride in "seeing an athlete succeed in areas that they never thought they could...[and] the 'light bulb' moments when an athlete or parent understands what they are capable of accomplishing." Lynnette is a graduate of Brenau College and has a masters from Central Michigan. 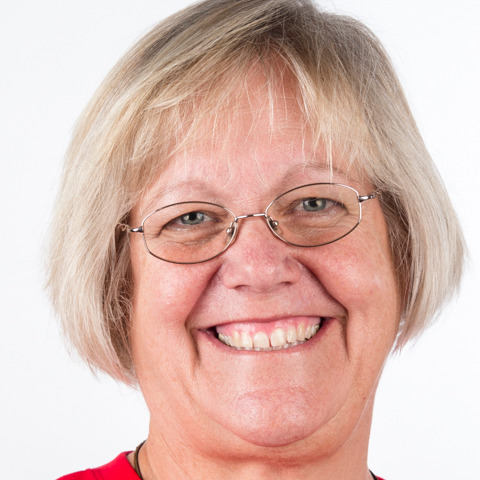 Some of Lynnette's accomplishments include: 2000 becoming a Special Olympics coach, 2003 outstanding coordinator for GA, 2003 World Games in Ireland – coach Volleyball, 2007 teacher of the year for Oakland Meadow School – Lawrenceville GA, 2007 World Games in China– coach Athletics, 2011 World Games in Greece – head coach Bocce, 2015 World Games in Los Angeles – head coach Bocce. She was just recently named head coach for Bocce at World Games 2019 Abu Dhabi. Lynnette is married to David Swanson and they live in Lilburn, Georgia, where their beloved Golden Ridgeback pup, Maggie, rules the roost.